Well this is pretty cool for a Monday. 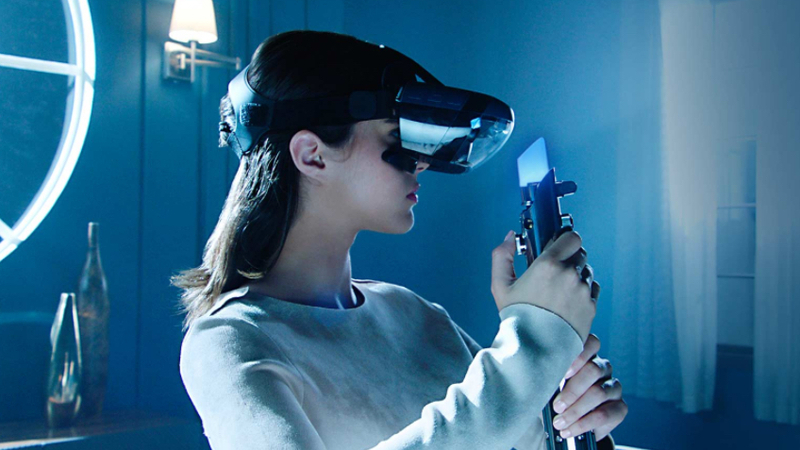 Lenovo is teasing a new smartphone powered augmented reality headset, built for Star Wars AR games including 'Jedi Challenges', a ground battle game and HoloChess. We don't know a lot about the hardware yet, apart from its shiny, dorky design in the video, not even what exactly the viewer will be able to see of both real and virtual worlds. Disney has put out some Star Wars VR shorts before, like the Jakku experience, so the AR label could refer to being able to see the lightsaber controller (I know) and other accessories. It's described as an 'app-enabled augmented reality experience' so we can only assume the phone is placed in a Cardboard headset-style setup with the camera used for AR elements. From the side, it looks like the front section is transparent. Watch the teaser vid and sign up on Lenovo's website for more info. The headset is "coming soon" to the site, which suggests this is a device you'll be able to buy. Best Buy is also involved so expect to see lots of in-store demos in the US in the run up to the release of The Last Jedi in December. This collaboration could be really big for AR and VR - we just hope Disney don't kriff this up.